Drexel University has been developing Bi-Fe-O ferroelecttrics (and others) for many years and here they report on ALD of polycrystalline BiFeO3 thin films on SiO2/Si(001) by ALD using ferrocene, triphenyl-bismuth, and ozone. Due to its ferroelectric properties BiFeO3 is intersting for future non-volatile memory (FeFETs and FRAM). The ALD of Bi-Fe-O thin films were carried out in a Picosun R200 Advanced Reactor (Supporting Information, for all the process details). Abstract: By growing alternating layers of Fe2O3 and Bi2O3, we employ a superlattice approach and demonstrate an efficient control of the cation stoichiometry. The superlattice decay and the resulting formation of polycrystalline BiFeO3 films are studied by in situ X-ray diffraction, in situ X-ray photoelectron spectroscopy, and transmission electron microscopy. No intermediate ternary phases are formed and BiFeO3 crystallization is initiated in the Bi2O3 layers at 450 °C following the diffusion-driven intermixing of the cations. Our study of the BiFeO3 formation provides an insight into the complex interplay between microstructural evolution, grain growth, and bismuth oxide evaporation, with implications for optimization of ferroelectric properties. Unknowingly I´ve been camping and going through in Dubbo two times, literally our tent was on top of a high-k mine without me knowing it! 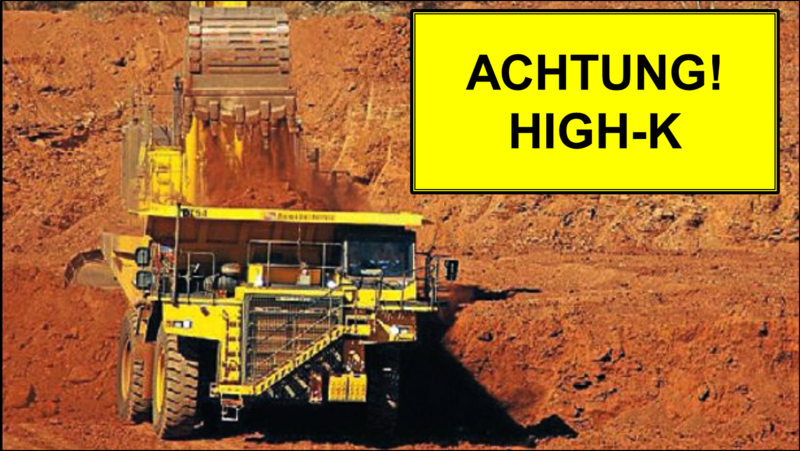 They have got it all there Down Under: zirconium, hafnium, niobium, tantalum and all of the rare earths. Just take a moment to check out the videos below and stay tuned for more on the Dubbo project. The Dubbo Project (DP) is a new and strategically significant source of high demand critical metals, which are independent of traditional supply sources. 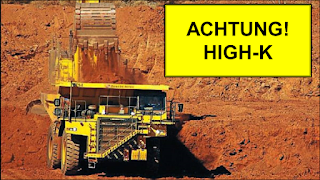 The Dubbo resource is a long life polymetallic ore body that is readily processed and separated into valuable products including zirconium, hafnium, niobium and rare earths. A large scale Demonstration Pilot Plant at ANSTO in Sydney has been operating since 2008 to provide robust qualification and optimisation of the DZP process and the necessary information for scale up to a full scale operating plant. The plant has proven the process flowsheet from a chemical and engineering sense as well as providing capital and operating costs for scale-up. Over 100 tonnes of ore has been processed in the Demonstration Pilot Plant to produce zirconium, hafnium, niobium and rare earth products. At a processing rate of 1 m tpa of ore for the full scale plant, annual revenue for the four product groups ranges from US$430m - US$470m pa with an EBITDA of $235m - $275m pa.
As previously reported here (LINK) New prospects for universal memory from MIPT Russia using Picosun ALD: ESPOO, Finland, 27 June, 2017 – Picosun Oy, leading supplier of high quality Atomic Layer Deposition (ALD) thin film coating solutions, reports of breakthrough results achieved with its ALD technology in development of novel high-speed memories. These memories are required in state-of-the-art data storage applications, where a combination of very large capacity and extremely fast operating speed is needed. The results have been obtained at Picosun’s long-term customer Moscow Institute of Physics and Technology (MIPT), Russia. ReRAM (Resistance Switching Random Access Memory) is a new, non-volatile memory type which has the attributes to become the much sought-after universal memory to replace and outperform the current technologies, and to solve the ever-growing demand for more and more efficient data storage systems. ReRAM is fast, small, structurally simple, it has high capacity and it operates at low voltages. These features help to decrease the device size, power consumption, and response time, allowing yet smoother-operating electronic end products. Smaller operating voltage enables ReRAM integration also to low-power devices such as portable, wearable, and mobile electronics, remote sensing and IoT (Internet of Things) applications, the number of which is growing explosively at the moment. Umicore reports: Umicore’s business unit Precious Metals Chemistry inaugurated today its innovative production unit for advanced metal organic precursor technologies used in the semiconductor and LED markets, respectively TMGa (Trimethylgallium) and TEGa (Triethylgallium). 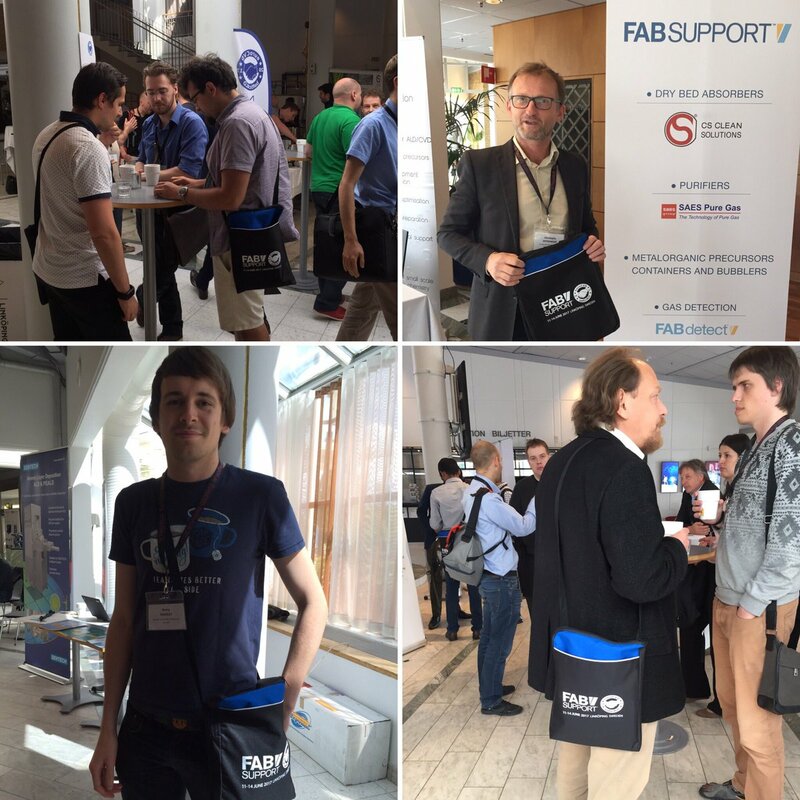 The event was attended by European and overseas customers as well as local and regional politicians. The guest of honour was Dr. Barbara Hendricks, Germanys Federal Minister for the Environment, Nature Conservation, Building and Nuclear Safety. Umicore TMGa (Trimethylgallium) and TEGa (Triethylgallium) facility in Hanau, Germany (photos supplied by Umicore). Umicore Precious Metals Chemistry is the only European manufacturer of TMGa and TEGa and supplies customers across the world from its Hanau manufacturing base. Umicore Precious Metals Chemistry helps to reduce cost of ownership through its innovative approach to process chemistry and its collaborative approach with customers and end users. TECHCET Advanced Dielectric Precursors CMR™ – Just Released! 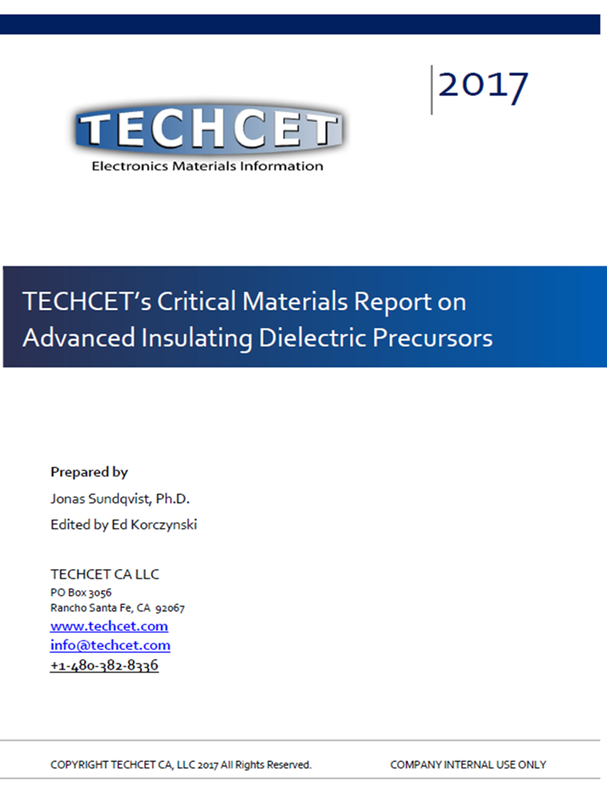 The Dielectric Precursors Critical Materials Report (CMR) provide detailed market, supply chain and technology trend information required for anyone developing strategy for their business, be it a materials supplier or semiconductor chip manufacturer. Precursor types include, gapfill, ILD, low K, and multi-patterning. The report is written by Jonas Sundqvist and edited by Ed Korczynski. TECHCET Reports can be Included with CMC Membership – Click Here for Info! Yole Développment: The key emerging non-volatile technologies like phase-change memory (PCM), magnetoresistive random access memory (MRAM) and resistive random access memory (RRAM) have long development histories. Yet, their adoption remains restricted to niche markets due to various factors. Available products have limited density, and the introduction of high density products by emerging NVM pioneers has been delayed. There are manufacturing challenges due to the introduction of new materials and process steps. Meanwhile, mainstream memory technologies are continuously improving in terms of density and cost. Finally, there has been an absence of a killer application that would challenge dynamic random access memory (DRAM) and NAND flash memory. [read further, LINK] - Thanks to Terry Francis for sharing this one! 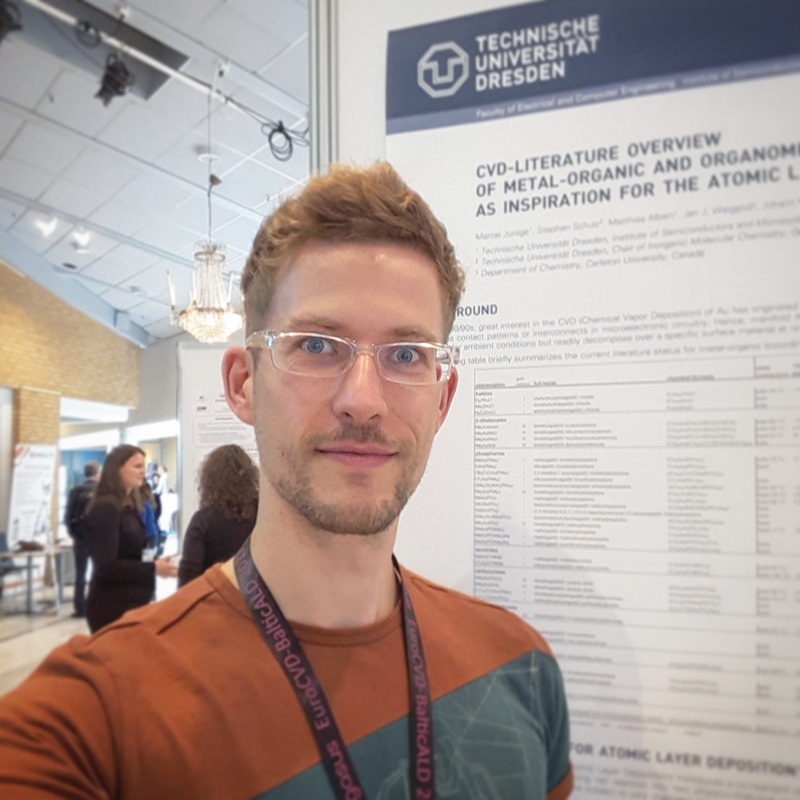 Unfortunately, Yole does not mention here the developments in Ferroelectric hafnium oxide based FeFET and FRAM (by NaMLab, Fraunhofer and Globalfoundries). There has been quite some progress over a 10 years development (originally imitated and discovered by Qimonda R.I.P.) 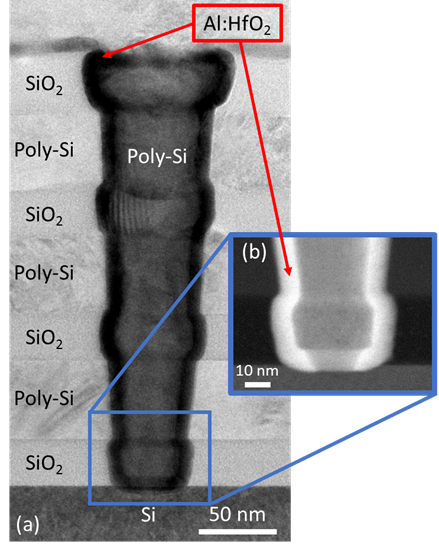 so far and most recent approach by Imec integrating Ferro FETs in a bit scalable 3D-NAND style architecture. The main advantage of this technology is that in the case of a logic embedded memory cell and a stand alone 3D-NAND style version standard equipment and process flows can be used in HVM. 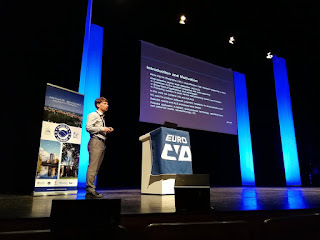 In addition, according to Imec memory Guru Jan van Houdt, "It [FeFETs] has particularly interesting characteristics for future storage-class memory, which will help overcome the current bottleneck caused by the differences in speed between fast processors and slower mass memory"
The last couple of years there is an increased IP filing in hafnium oxide and related technologies and precursors and especially for ferroelectric memory. It was also apparent by studying the last VLSI program that there are man more mature activities in this technology and if I remember correctly there was 6-8 presentations on this topic. Possibly the report itself gives some insights also to the status of ferroelectric NVM technologies. According to a recent article in Semiconductor Engineering on the reworking of established nodes (May 24th, 2017 - By: Ed Sperling, LINK) the benefits of device scaling don’t apply equally to all markets. However, the process technology does. A good example of this is, according to my opinion, is ALD high-k (Al2O2, ZrO2, HfO2, Ta2O5 etc.) MIM Caps that have multiple HVM applications in 200mm fabs around the world. As well as ALD liners and etch stops in MEMS and LED production. According to Ed Sperling, that " .. is why the foundries, equipment makers and packaging houses have introduced a menu of possible options at established nodes, including new materials as well as new process options, including low-power, ultra-low power, high-performance and low-cost options at the same nodes." 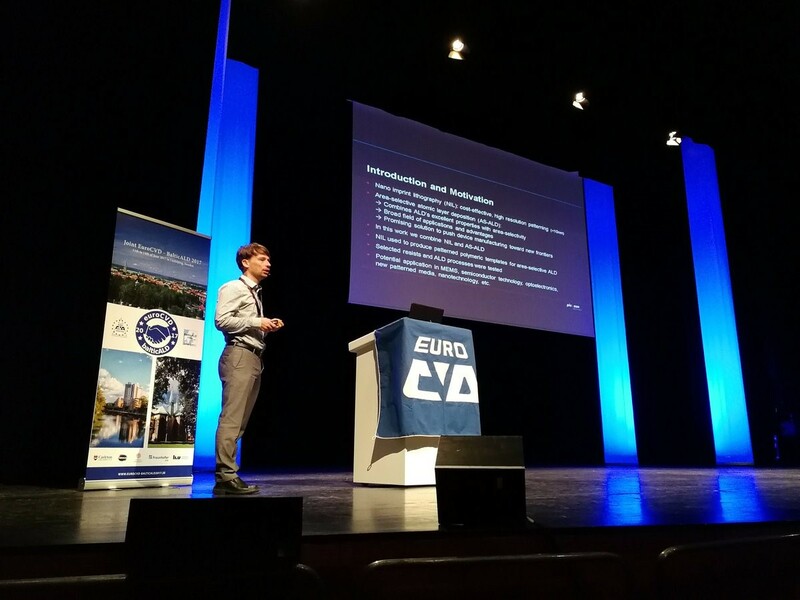 In addition, Zagvijn said that ALD technology and capability will be important in wafer-level packaging. 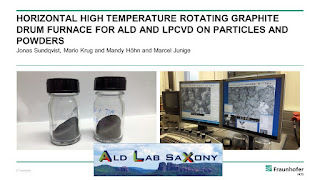 All details can be find in the Advanced Materials publication below. According to the suppoirting information the Al2O3 ceramic depositions were performed in an Utratech Fiji F200 ALD system (pictured above) at 250 C using trimethylaluminum (TMA) and H2O as the aluminum and oxygen source, respectively. Beneq’s financial figures from 2016 show growth, encouraging signs of transformation, and positive development in industrial ALD solutions. Beneq corporation turnover grew to 22,2 million euros in 2016. And Beneq is a truly global company: 98% of the company turnover came from outside Finland. TECHCET ALD/CVD High-k & Metal Precursors CMR™ – Just Released! 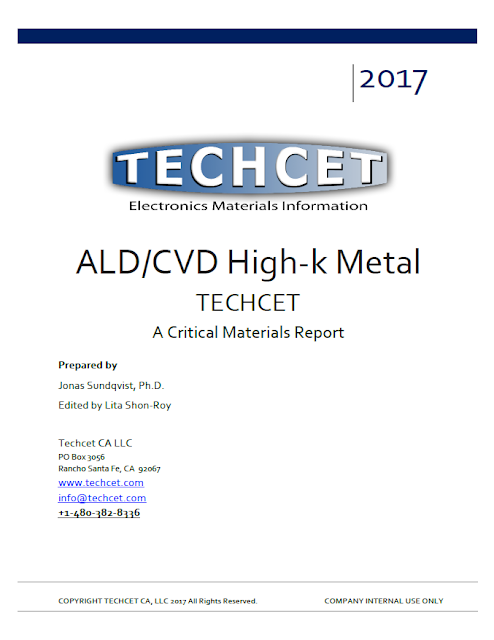 The TECHCET ALD/CVD High-k & Metal Precursors Critical Materials Report™ provides information on the applications, IP-filing and markets associated with front end and back end of line precursors used to produce high-k dielectrics, metals, meatl oxides and nitrides by atomic layer deposition (ALD) and chemical vapor depsotion (CVD) metal oxides and nitrides. The report is written by Jonas Sundqvist and edited by Lita Shon-Roy. MIPT Reports: Researchers from MIPT’s Center of Shared Research Facilities have found a way to control oxygen concentration in tantalum oxide films produced by atomic layer deposition. These thin films could be the basis for creating new forms of nonvolatile memory. The MIPT non-volatile ReRAM memory cell is based on ALD deposited tantalum oxide using tantalum ethoxide and water. 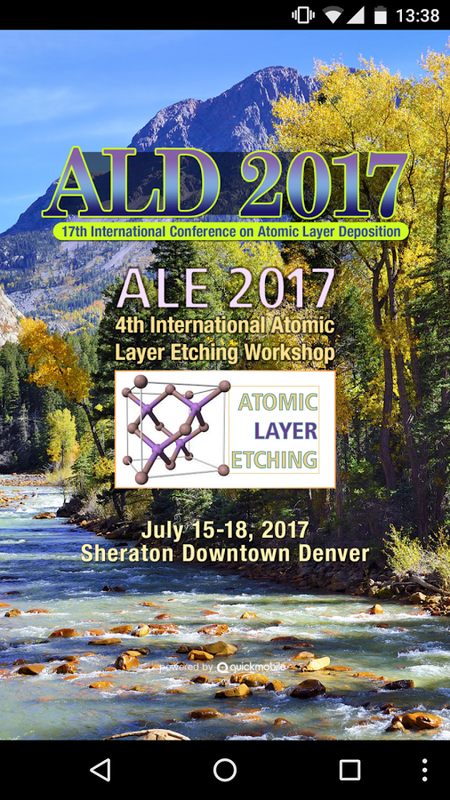 Soon it is time for the next major event for the ALD and ALE community - ALD/ALE2017 in Denver Colorado. You can download the Mobile App for Android and Iphone here : LINK. Here is a great overview on ALD for coating complex 3D compnents for optics from LASEROPTIK, Germany (LINK). Laseroptik offers ALD coatings ranging from UV to IR. Abstract: Atomic Layer Deposition (ALD) is a chemical vapor coating technique that has recently been adapted for precision laser optics to perform highly conformal multilayer coatings on complex 3D substrates like hemispheres, axicons or multi-sided prisms. In our brief report, we explain some ALD fundamentals and describe the way from idea and single-layer films to simple AR (anti-reflection) coatings and even more ambitious designs, like non-polarizing beam splitters, performed on complex optical substrates. 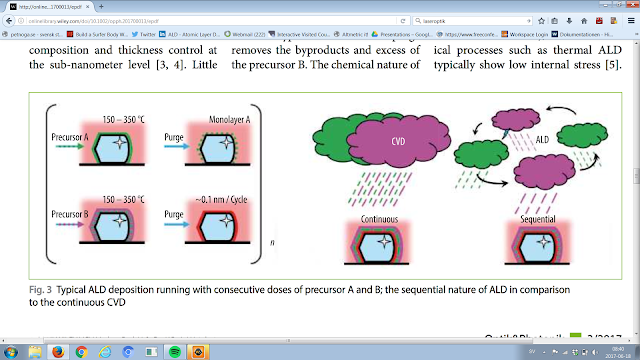 The article contains a new nice graphical representation of CVD vs. ALD process description that I have not seen before - reminds me of winter vs an April typ of weather changing all thee time between winter and summer, rain, snow and sunshine. LASEROPTIK is a German manufacturer of high power laser optics and coatings from VUV to IR, using PVD methods like e-beam evaporation, ion assisted deposition, magnetron sputtering, ion beam sputtering and recently the chemical vapor method of atomic layer deposition. LASEROPTIK runs more than thirty coating machines and processes about 150,000 optics per year, from needle head size to laser mirrors of up to two meters in length. The company was founded in 1984 by Dr. Johannes Ebert as a spin-off from Hanover University. Main customers are laser manufacturers from industry, medicine and scientific research. Here is a collection of tweets from Day 4 (Wednesday) EuroCVD-Baltic ALD 2017 in Linköping; Sweden. 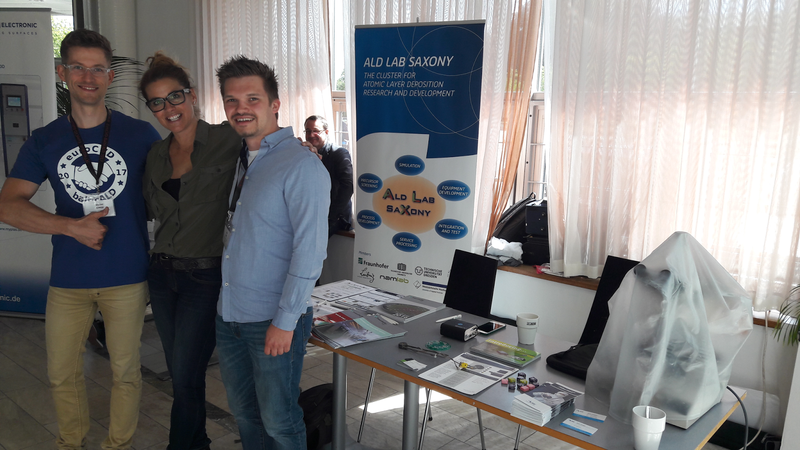 ALD Lab Saxony also took active part in the exhibition with a joint table together with Colnatec the QCM Sensor company from Arizona USA and PillarHall(TM) team from VTT Finland presenting silicon wafers and chips that enable easy analysis of thin film conformality using well-defined, record-demanding microscopic 3-D structures.